Well, if you didn't think we were crazy for ditching our cars, riding bikes, unschooling, and moving 3,000 miles across the country, maybe now you will. HA! 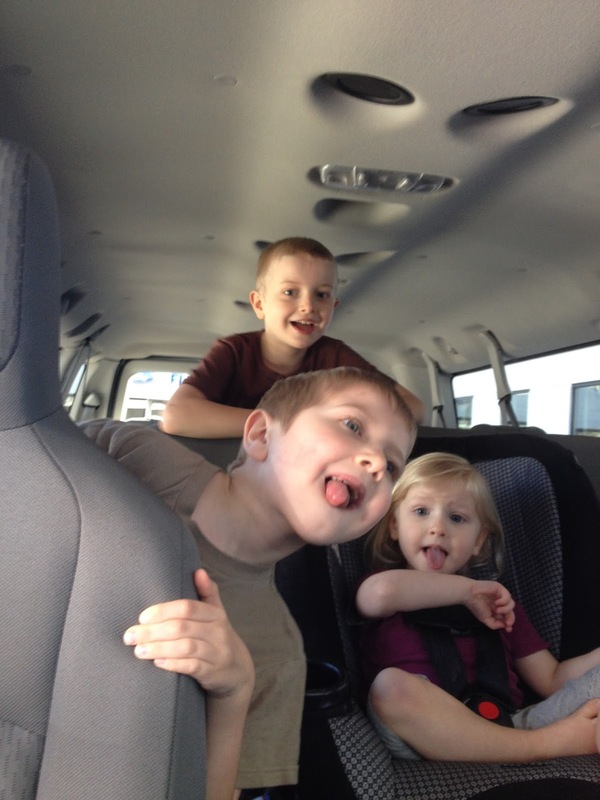 As this post title implies in a couple of months that big white van you see pictured above will be our home on wheels. Over the next few weeks we will be figuring out our setup, and getting rid of items we will not need. 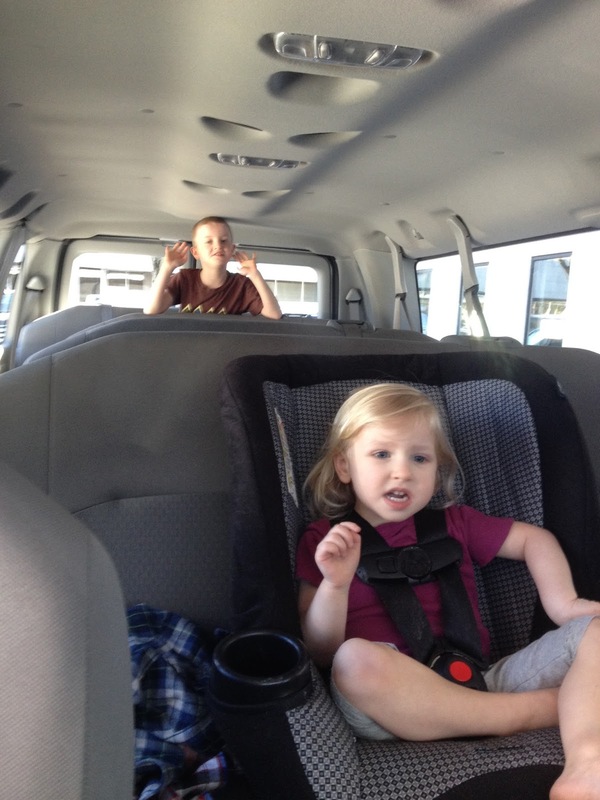 This process has already started, but now feels real because we have the van. I knew that one day we would own something with a motor again. The only thing I wanted to make sure of was that it either housed us, or that we lived in a place that we absolutely needed it. Unfortunately, as amazing as Portland and it's people are, it's not going to work out for us here. The job situation wasn't the best to help us completely settle, and it is too far from family. The plan is to hit the rode in May, after our apartment lease is up, and head back to the East Coast. Slowly back. Coming out to Oregon we had a major time crunch with the rental truck. This time we won't have that kind of pressure. We will visit family in NJ and then head to Western Massachusetts to help a friend with his farm/small business for a bit. We are super excited for the next chapter and all of the adventures ahead of us. Living this way will have many challenges and adjustments, but man what an adventure it will be! Let me know when you are near so we can meet up! Thanks! I know! We have to make our way up there. I'm determined! LOVE it! I'm sorry that you're leaving the west without our paths crossing, but am thrilled for more Grays good times! Please keep us updated, even if it's the "mundane, normal" days! Thanks Eunice! Will definitely keep everyone updated. Hope we don't disappoint LOL! Congrats! Wow your life is so much like ours...bike mechanic husband, road schooling, nomads. If you are coming through Southern Colorado let me know. Awesome Jen! I noticed you all hit the road again. I know we will be traveling that way. I will email you to see if we will be close and can meet up.